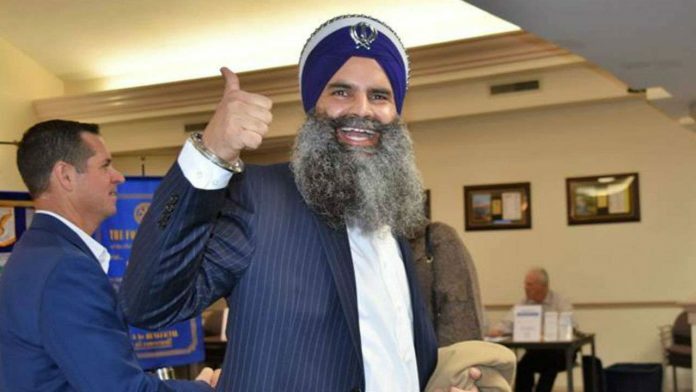 Weeks after receiving the prestigious Rosa Parks Trailblazer Award, eminent Indian-American Gurinder Sikh Khalsa has decided to enter electoral politics. “An interest in public policy based on my past experiences along with the desire to give back to my community are among the prevailing factors as to my decision to run for office,” Singh told his supporters in Indianapolis on Wednesday after announcing his plans to run for City Council of Fishers. A resident of Fishers community in Indiana for over a decade, Khalsa is a prominent business leader, entrepreneur and philanthropist who has worked with public service leaders and organisations across the state and nation. “I want to be a part of giving back through public service,” he said according to a press release issued Wednesday. Asked why he decided now was the time to run for council, Singh said, “I have met many trailblazers who have made a difference in the lives of others through their work in public service. My experience in business operations and the ability to bring a new voice to the table as we strive for forward-thinking visions and goals for the community will be an asset for Fishers.” Singh said he desires to invest in the very community that provided him with the same opportunities which have contributed to his success as a community leader. “I desire to invest my time in Fishers, working towards collaborating with others as we address the fast-paced growth of our community and inspiring others to get involved with the community, as well,” Singh said further. “My values center on the growth of our community and the voice of our community,” he reiterated. Last month, Khalsa was chosen to receive the prestigious Rosa Parks Trailblazer award because of his courage and integrity displayed in May of 2007 when he was asked to remove his turban while attempting to board a flight in Buffalo, New York. Following this incident, he worked towards bringing this issue to the attention of the US Congress, which later resulted in headgear policies being changed in airports nationwide.